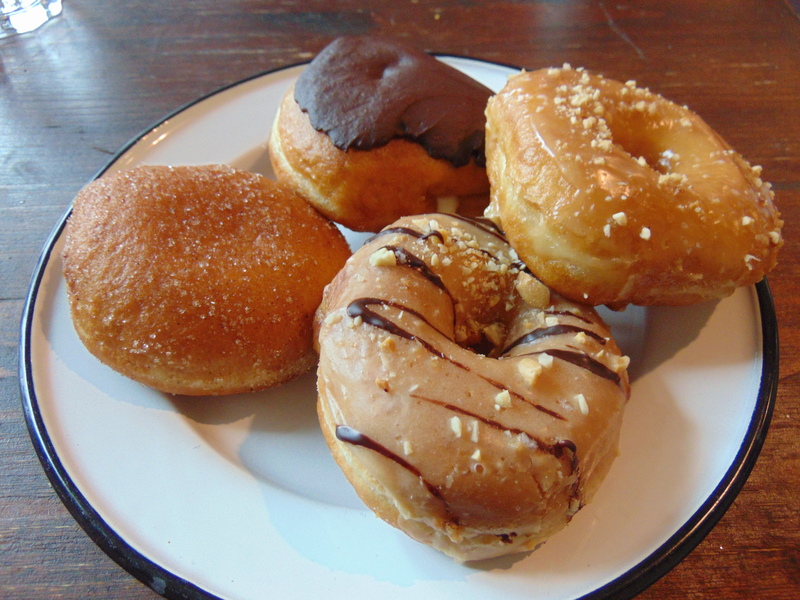 Vegan donuts have started popping up in Prague at last, but really, I think we have to thank Brammibal’s Donuts in Berlin for blazing that trail. We went about a year and a half ago when they had first opened, and we were impressed. Now, they’ve really taken off: there were twelve varieties of donuts when we visited again recently, and a steady stream of customers even on a Monday morning. First things first though: we were looking to spend a leisurely few hours there while waiting for our bus home, and decided to go for a savoury start to the day. 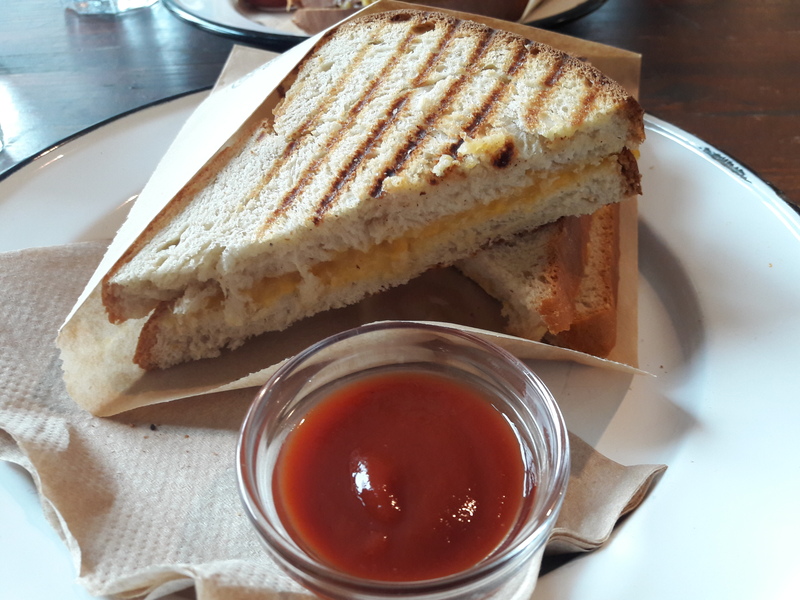 There were a few toasted sandwiches on the menu, and we both got the grilled cheese, because it’s not something we see too often. The bread was a little sweet, but the cheese was really good, and it’s definitely worth getting in the unlikely event that you’re not coming just to fill up on donuts. Fortunately we were hungry enough that we still had plenty of room for dessert! After much agonising, we got two rings (salted caramel hazelnut and peanut choc sea salt) and two filled (chai custard and coconut custard ganache). Of the rings, the peanutty one was better, just hitting the perfect balance of flavours. The coconut custard one was the better of the filled, with very rich ganache and lovely custard oozing out. Divine! 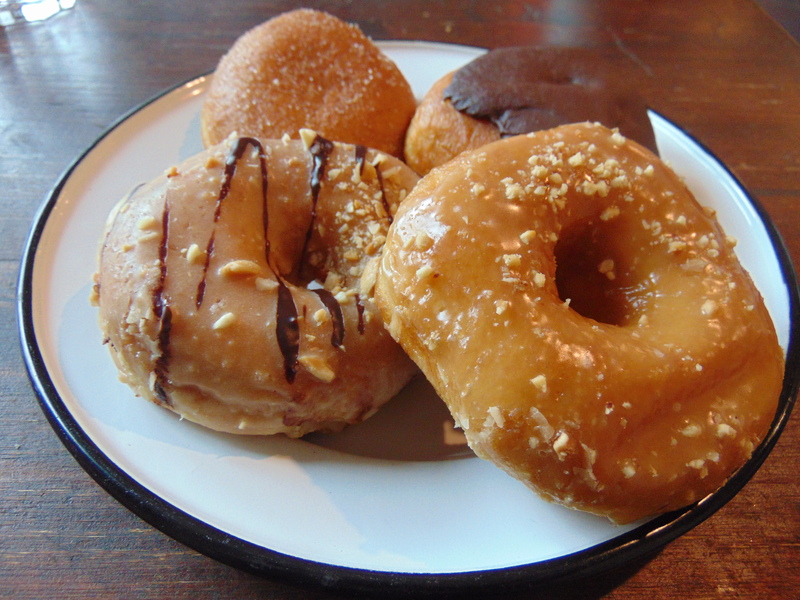 We’re fortunate to have a donut place mere minutes from our front door in Prague that does three vegan options every day. But Brammibal’s made me realise just how much better life could be! 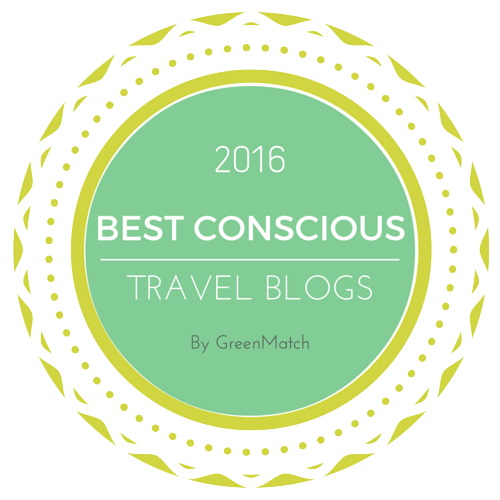 This entry was posted in Travel and tagged Brammibal's Donuts Berlin, vegan Berlin, vegan donuts, vegan travel. Bookmark the permalink. Vegan donuts! I wish someone would make them nearby. I’m such an awful baker I don’t dare try making them myself!! Instagram has led me to believe that all Americans have access to sensational-looking vegan donuts – I’m sad to learn that this isn’t the case! Nope. I wish! LOL 🙂 Usually in the bigger cities you can find vegan restaurants and bakeries…sometimes. Depending on the city, I guess! I have donut envy! There are some signs of vegan donuts spreading in London, but they’re not as widespread as you’d hope. I need to get myself to Berlin ASAP! At least you’ve always got those Co-op donuts in the UK!